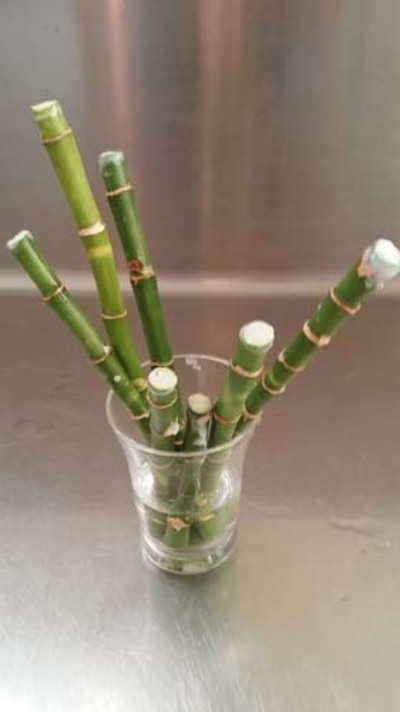 Make more plants with the Lucky Bamboo stalks. 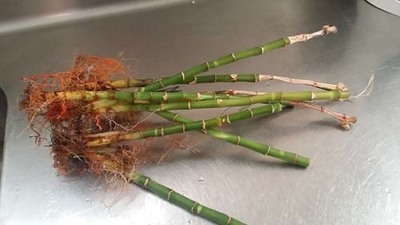 Old stalks removed from pot. What a mess! 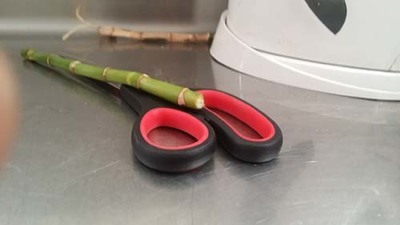 Cut stalks straight across with secateurs, a knife or scissors where they are lush and green at the root end of the stalks. You can see here tops of the stalk. This was wax sealed to stop rot and encourage growth in the stalk. 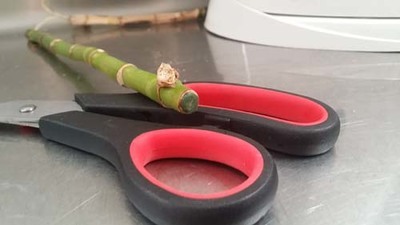 Cut off the tops of stalks - straight across - getting rid of any old seals and ugly, dying or discoloured pieces to tidy them up. 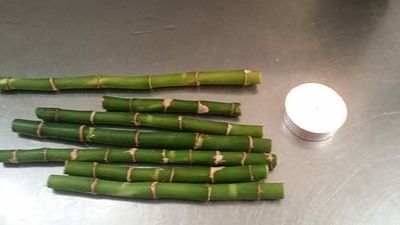 Place the stalks so you know which end are the tops. Light a tealight candle. Time to wax seal! After a wee while, the wax will pool. 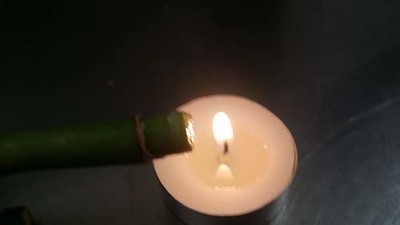 Dip the top of the stalk into the wax and rotate to seal as the wax cools. 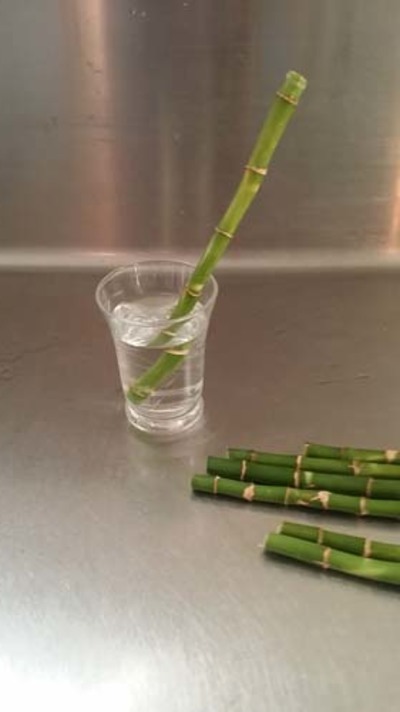 Place the root ends into water and pop on the windowsill. Here you can see the newly waxed stalks. It will take a couple of weeks or so for the stalks to develop roots. 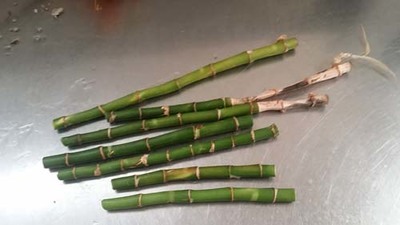 These stalks will be parents - baby plants will grow from them.